Tonight the ACC Planning Commission was presented with a proposal to rezone three parcels of land to make way for an urban farm (see site plan). The Athens Land Trust, owners of all three parcels, envision a small-scale working farm that would produce commercial products and educate the public about agriculture and farming issues. The project seems to have the overwhelming support of the Commission and nearby residents, though both factions took issue with the scale of the project and the presence of livestock. Located just inside the 10 Loop, 481 and 482 Ruth Street and 215 Northside Drive, are currently zoned as RS-8, allowing 3.8 dwelling units per acre. The Athens Land Trust would like to keep the current base zoning of RS-8, but tack on a planned development (PD) to allow a number of design waivers and differing land uses (farm and residential). These include waivers from the requirements that each dwelling unit have one on-street parking space and new streets have sidewalks on both sides. The development plan calls for a new street to be constructed through the site with 9 residential lots on the Ruth Street parcels. ACC Planning staff recognized that additional waivers needed to be requested because the development also calls for gravel driveways instead of the required paved driveways. While almost all the commissioners voiced support for the idea of an urban farm, most had problems with the scale of the project. Those neighbors that voiced opposition to the project, did so not because they didn’t like the idea of the project, but because they too felt far too many housing units were being placed on the land. The plan calls for 8 new dwellings to be formed on one parcel of land that is less than 2.09 acres. Based on the existing density, this seems very much out of place. However, the RS-8 zone allows for 3.8 dwelling units per acre and this meets it. 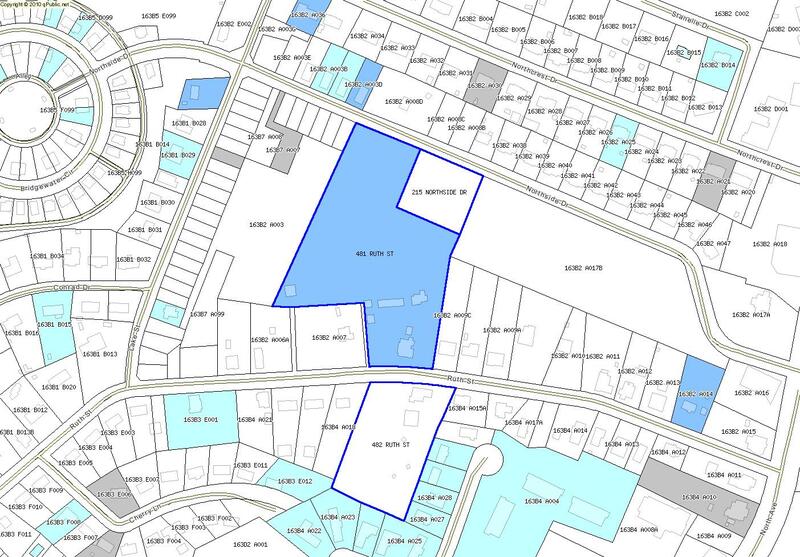 When combined with the other two parcels of land, and the dwelling units proposed for those parcels, the plan calls for just 1.84 dwelling units per acre; well below the RS-8 maximum density. So neighbors and commissioners feel like the rezoning would cause too much density, but in reality the proposed density is exactly what the zoning scheme envisions. One mission of the Athens Land Trust is to promote affordable housing. This is the predominant reason why they are asking for so many lots on such a small piece of land. The goal is for the development to provide great housing opportunities for those that wouldn’t normally be able to afford such opportunities. Neighbors and commissioners were very much supportive of this goal, but thought density should be spread across the entire development or just scaled down a bit. I like the plan in that it concentrates development and keeps a large piece of land open; this reduces the amount of land that is negatively effected by development and pollution. But I understand why neighbors are concerned about a sudden increase in density. Though no neighbors voiced concern over the future existence of livestock on the farm, commissioners did. The proposal doesn’t adequately address how many animals will be on the farm; this is something that could clearly become an issue. This is something that needs to be addressed in order for the project to move forward. 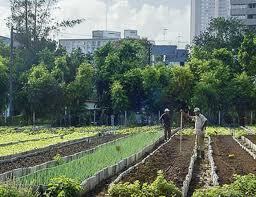 I like the idea of an urban farm. It is similar to a general green space, but also provides an accessible educational experience for people to learn about how their food is produced. 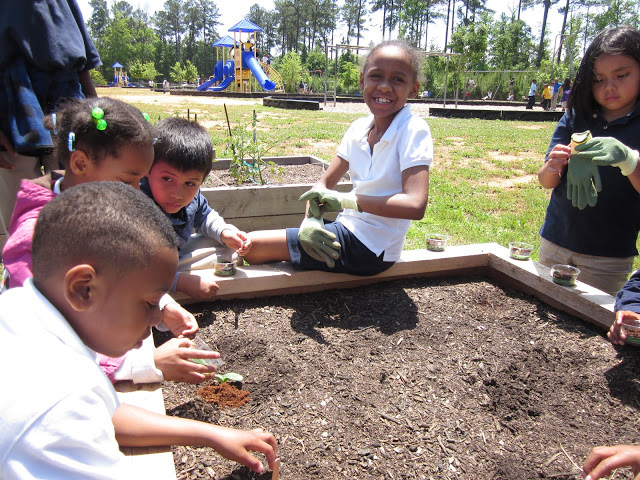 Urban farms could provide an opportunity for adults and children to participate in the production of quality food, especially if these farms are owned by land trusts or other non-profits. Noise from animals and trucks picking up produce, as well as smells from the same sources will likely be very real problems for neighbors, so we must take adequate precautions to make sure farms seamlessly blend with neighborhoods. Fortunately the ACC Planning Commission seems to be ushering in this new land use in a sensible and responsible manner. This was just a preliminary review of the plan. The commissioners asked the Athens Land Trust to take their thoughts into consideration and present them with a new plan that could be voted on in the future.